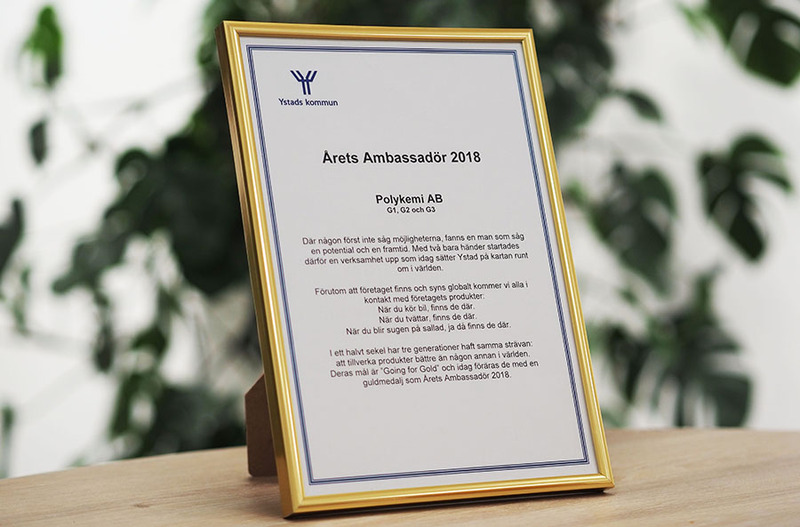 We are proud to have been awarded ”Ambassador of the year 2018” by the city of Ystad. “Where someone didn’t see the possibilities, there was a man who saw a potential and a future. With his own two hands, a business was started which today puts Ystad on the map around the world. When you drive a car, they are there. When you wash your clothes, they are there. When you are hungry for a salad, they are there. Thank you Ystad Kommun for this lovely award!